Polly used to be a talker, but ever since zombies got a piece of him it's been very quiet...a little too quiet! 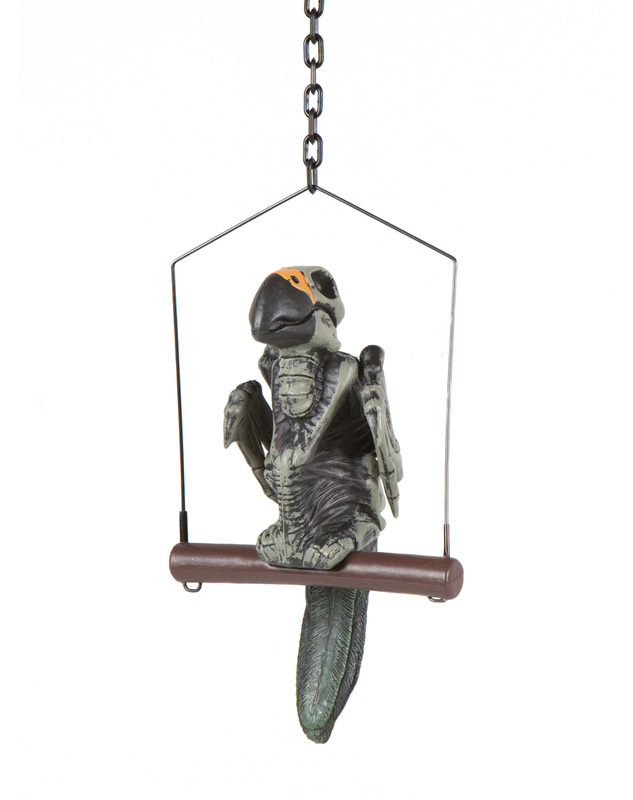 This Hanging Zombie Parrot may not repeat anything you say, but that's only because he's undead! Decorate your house on Halloween with this creepy prop. Get your very own Hanging Zombie Parrot or view more Zombie Halloween Party Props & Decorations right now!